Fire Alarm System technology has dramatically increased over the years and will continue to evolve at a even faster rate. It is hard to believe that originally, fire alarm systems were wired right to the fire department! In comparison, we now have both wired and wireless systems that can communicate the exact locations of a fire and notify multiple parties instantaneously. 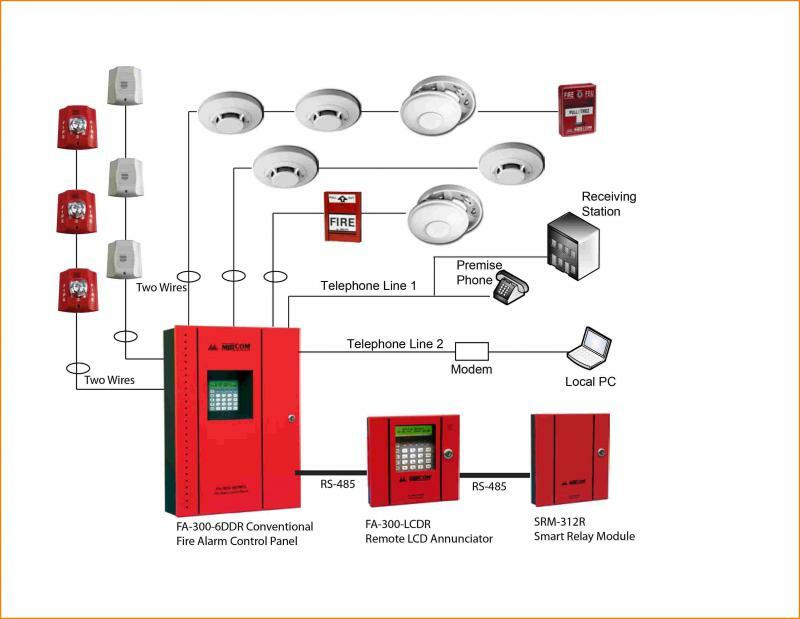 Hard Wired fire alarm systems consist of two types, conventional and addressable. Conventional systems are programmed to label areas of a building into zones. When a device is triggered and a signal is sent, only the name of the zone will display on screen, meaning responders only vaguely know which area of the building the fire or device issue is coming from. 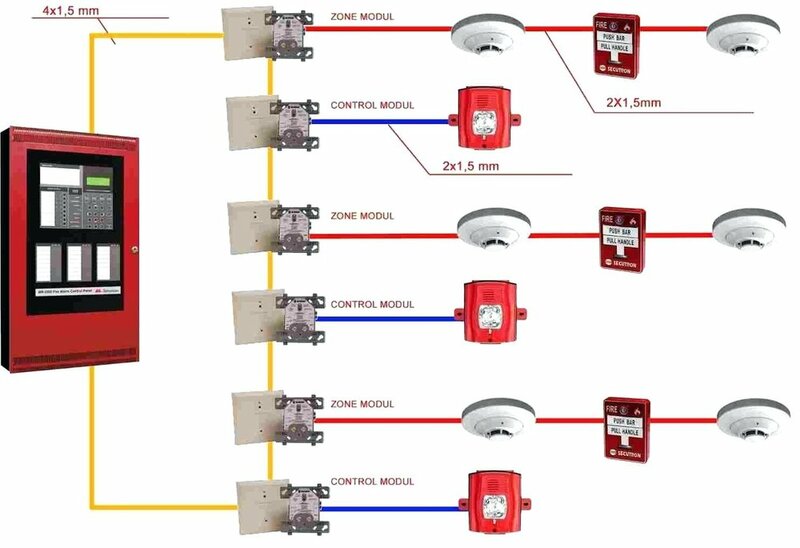 In contrast, an addressable fire alarm system is also a wired system but is different in the way in which the panel and devices communicate. Exact locations of devices such as pull stations, horns, strobes, carbon monoxide and smoke detectors can be programmed into the system with a detailed description including information such as location, device type, and even specific actions to take. When a device on a addressable system is triggered or in trouble mode, the parties being notified such as the monitoring station, they can diagnose the issue much quicker. Wired devices tend to be cheaper to buy than their wireless equivalents. Wired fire alarm systems are powered by a main source physically connect to them. The likelihood of them losing power is much lower than a wireless device and therefore are seen as much more reliable. There is zero worry of any interference between the devices and the main panel, which can be common issue for wireless systems. Wired fire alarm systems are older technology and their for more common. Finding replacement parts is easy. Contact Vermont Life Safety for all your wired fire alarm system needs including Installs, repairs and service. We even sell refurbished panels. Wireless Fire Alarm Systems are all addressable systems but can have two different types of wireless programming technology. The first type of technology makes the smoke detectors and pull stations transmitters. A receiver or transmitter which is installed near the device, can transmit information long distances. The second type of technology can make every device capable of receiving and transmitting. A router is installed to receive the communication from the wireless devices and is hardwired into the main control panel. In both of these wireless systems, the devices that are installed receive their power from batteries. With choosing a wireless system, you wont need to worry about having unsightly cables, wires and pipes affecting the appearance of your building. Wireless systems tend to be installed in buildings such as historical sites, churches, hotels, homes and restaurants. You will not need to worry about any large obstruction of the walls, floors or ceilings with a wireless system. Because there is now wiring involved, you don't have to pay extra for all the miscellaneous parts such as wires, cables and the extra labor. Wireless systems can be programmed and updated much faster than a wired system which means less time being interrupted by technicians. Wireless devices can be easily installed to almost any wall material and easily removed. This makes the system very easy to maintain and upgrade or add on to. Contact Vermont Life Safety for all your wireless fire alarm system needs including Installs, repairs and service. We even sell refurbished panels. Now you know the differences and benefits of each. What you choose depends on budget, timing, and type of building. For all your fire alarm Installs, repairs and Inspections, Vermont Life Safety is here for you. Fill out our quick form to get a quote!